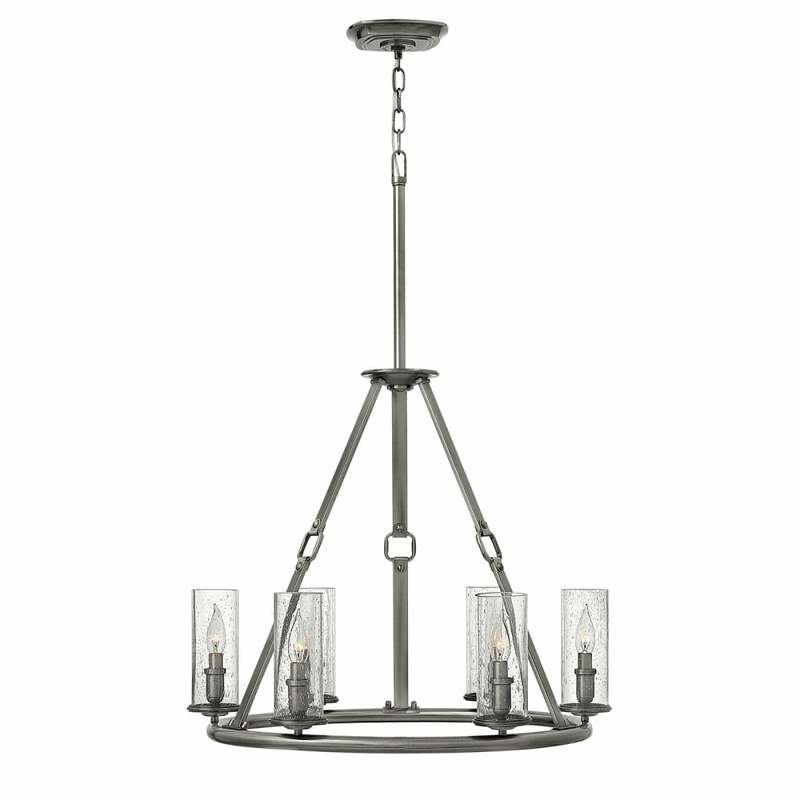 This large suspended design dominates with its polished antique nickel tint and collection of sparkling light shades in seeded glass. Faux leather straps forged in solid metal hold the circular frame, punctuated with candle-style light fittings perched on cast cups. Matching wall lights available. Collection includes a 6 and 8 light chandelier, a 3 light pendant chandelier and matching wall light design. View All Hinkley Lighting for more information on Dakota or view the complete Dakota Collection. - Supplied with 1524mm of chain. - Supplied with 3048mm of chain.